From New International, Vol. 6 No. 2, March 1940, pp. 43–51. Your article of December 15, 1939 (A Petty-Bourgeois Opposition in the Socialist Workers Party) raises a number of questions which enable me, in reply, to present and elaborate the standpoint of the Minority, in general, and of myself personally. The nature of the questions raised, and the manner in which you deal with them, impose a polemical form upon the present reply, not so much because your article was directly addressed to the party but primarily because I am compelled to disagree radically and uncompromisingly with the attacks you make upon the Minority and its political position, and with the solution you advance for resolving the party crisis. This reply, supplementing the main documents already published by the Minority, will speak with the same welcome candor and even bluntness which you employ in your article, and will try to deal with all the essential points you raise, answering all and evading none. You have discovered the class struggle, or rather its reflection, in the ranks of the party. The Cannon faction represents the proletarian wing of the party; the Minority is “incapable of giving the party Marxian leadership” because it is “leading a typical petty-bourgeois tendency.” As to whether it is permissible to speak of class tendencies and class struggle in the party, and the extent to which it is permissible – these questions will be dealt with further on in this document. Here let us examine the basis for your characterization of the Minority faction. What is involved, of course, is not the pride or prestige or subjective feelings of this or that comrade in the Minority, or of the group as a whole, but the objective validity of the characterization. At the beginning of the crisis in the party, the Cannonites characterized the Minority in various ways. Of them all, however, as is pointed out in our document on War and Bureaucratic Conservatism, only one even pretended to be a political characterization, namely, the Minority is yielding to the pressure of bourgeois patriotism, or, as you now put it, the Minority represents a petty-bourgeois tendency. To which we replied: Political tendencies, either inside or outside the party, do not arise overnight, nor are they the spontaneously full-fledged product of the whims or aberrations of a group of individuals. Here and there we find an individual who, unexpectedly and suddenly, “accidentally,” turns into his political opposite. A man with a long record of radicalism may suddenly turn patriot at the outbreak of war; a man with a long record of opportunism may suddenly turn radical at the same time. But these are individual cases and do not represent tendencies. We speak of political tendencies precisely because it is possible to say of a group of people that over an appreciable period of time, as revealed in the record of its political words and deeds, it has tended in a certain political direction and has finally crystallized into a distinct political group, or faction, or party. An isolated instance or two does not establish a tendency (much less a “petty-bourgeois tendency” and one that is “typical,” at that), but at most a mistake or a deviation. Even on this small scale, one can apply the dialectical method and inquire into whether or not a quantitative change has been transformed into a qualitative change! Therefore – continued our reply to the Cannon faction – to maintain your characterization, it is incumbent upon you to indicate in our political record, which is available to you, wherein this tendency has manifested itself in the last year or two among the representative spokesmen of the Minority. That is, in attacking us, in characterizing us politically, please do no less than all of us together have done with reference to bourgeois political groups, to the Stalinists, to the Thomasites, to the Lovestoneites, and even to such grouplets as Oehler, etc. ; or, in our own movement, than we did, for example, with the Sneevliet tendency – characterizing it politically on the basis of its established record over a period of years. But that is just what the Cannonites did not do and have not done. Moreover, they did not even attempt to do it, for everybody knows that the attempt would be fruitless and doomed in advance to failure. Not because the leading comrades of the Minority have no record to look into. Quite the contrary. They have one and, as said above, it is easily available. There are the records of the Political Committee, containing the views of all the comrades on every question; there are our articles in the press; there are our programs and manifestoes; there are our brochures and speeches. Let them be cited; There has been no lack of bourgeois-patriotic, anti-Soviet, reformist pressure upon our party in the past. Show us from the record when and where any of our leading comrades yielded to this pressure! I say confidently: It cannot be done. What the record will reveal is that we were not among the last – so far as Burnham and Shachtman in particular are concerned, I say without false modesty, that we were the first – of those who constantly defended the revolutionary-internationalist position on war against all species of reformists, patriots, People’s Fronters, Stalinists, centrists, left-centrists, ultra-leftists, and who constantly sought to make the party more alert to the need of combatting the war danger and all it involved in the ranks of the working class. By what political right, then, on the basis of what facts in our record, are we charged with being a petty-bourgeois tendency? The Cannon faction never answered this question. Its silence implied that the only “right” it exercised was the right of necessity; it needed to give this political characterization of us, whether grounded in fact or not. In face of what “appears to be” an “incontrovertible fact,” how are we to account for the fact that the pressure of the bourgeois-democrats throughout the Spanish civil war was not reflected among us in a tendency to yield to People’s Frontism and the imperialist patriotism with which it was imbued? It is true that some ultra-leftists in the party at that time accused us and Cannon and Trotsky of precisely such a tendency; but the “fact” was just as “incontrovertible” then as now. Although the Cannonites never even sought to find in our political record a justification for their characterization of our group, you have, it is true, presented one article out of that record calculated to establish a connection between our present position and our past, and thereby to warrant your political justification. It is the article Intellectuals in Retreat by Burnham and Shachtman, about which we exchanged some correspondence earlier in 1939. Quoting sections of what the two authors wrote about dialectical materialism, you declare that my allegedly unprincipled bloc with Burnham in the sphere of sociology (the question of the class nature of the Soviet state) and then in the sphere of politics (“unconditional defense of the Soviet Union”) followed logically from and paralleled my unprincipled “bloc with Burnham in the sphere of philosophy” – all of which adds up, in your view, to the characteristics of a typical petty-bourgeois tendency. Your accusations are entirely unwarranted and baseless. They form an arbitrary construction calculated to buttress a political conclusion which cannot be buttressed objectively. Let me indicate the grounds for this statement. But that is not all. The following paragraphs from our article are not less important. “‘I believe I must tell you my view quite openly. A certain scrap among the Bolsheviks in the question of philosophy I now consider quite unavoidable. But to split up on that account would be stupid, in my opinion. We have formed a bloc for the carrying through of a certain tactic in the Social Democratic Labor party. This tactic we have been and are continuing to carry through without differences of opinion (the only difference of opinion occurred in connection with the boycott of the Third Duma), but firstly it never reached such a sharp point among us even to hint at a split; secondly, it did not correspond to the difference of opinion of the materialists and the Machists, for the Machist Bazarov, for example, was, like myself, against the boycott and wrote about it (a large feuilleton in the Proletarii [the journal then under Bolshevik direction]). “These wise, responsible and humane words are those, of course, of the real Lenin, not the sanctimonious Pope of the Stalinist fairy tales nor the one-party tyrant who is now being imaginatively constructed by Eastman, Hook and Harrison. In the light of these remarks and quotations from Lenin, I still fail to see, as I wrote you months ago, wherein I was wrong in writing the joint article with Burnham and in taking, with him, the position on the dialectic quoted above. Quite the contrary. Under the same circumstances, I would do it again and again tomorrow. You say: “By allying himself in this question with the anti-dialectician Burnham, Shachtman deprived himself of the possibility of showing why Eastman, Hook, and many others began with a philosophical struggle against dialectics but finished with a political struggle against the socialist revolution.” I can agree with this, more or less. 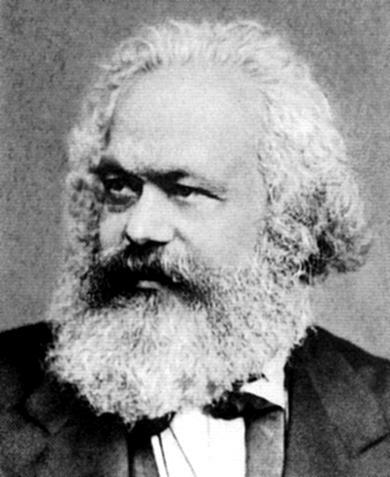 On my part, it was a conscious and deliberate “self-deprivation.” But it was more than compensated for, in my opinion, by the fact that I was able to defend our fundamental political principles and program from revisionist attack, and to defend it jointly with a comrade whose views on philosophy differ from mine in such a way that Eastman, Hook and Co. might be able to exploit it politically (should I attack Burnham at the same time). Burnham’s opposition to dialectics is not consistent, in my view (as mine is not in his view), with his support of the revolutionary program of the Fourth International. I say about his philosophical views (as he does about mine) that, in the long run, they will or may have fatal effects upon his political position. Meanwhile, to the greatest possible extent, let us unite to defend that political position, which we hold in common with the rest of the Fourth International, against all its critics. If, in that connection, we have occasion to speak of philosophical questions, let us make it perfectly clear that on that subject we do not agree. You consider that an unprincipled bloc. If it is a bloc at all, I think it is a good one. If Burnham and Shachtman were to write a joint article on philosophy, or specifically on Marxian dialectics, that would be unprincipled. To declare a temporary truce on philosophy, while the revolutionary political position is put forward – that is not unprincipled, rather it is a service to the party. Rosa Luxemburg may have been able to write more thorough criticisms of Kautsky and Bernstein during the war if she had also attacked their revisionism in the sphere of philosophy. But in that case, Liebknecht would not have written or signed these criticisms with her, because of his well-known opposition to dialectical materialism. The philosophical front had to wait under the press of more urgent problems and disputes. My dispute with Burnham on the philosophical front will also have to wait – not because I believe, as you so unjustly write, that the dialectic does not matter, but because there are more urgent problems to settle and because Burnham is not making the dissemination of his philosophical views his main preoccupation in the party or even one of his preoccupations  and because – like virtually all the other leading members of the party who accept dialectical materialism – I do not yet feel sufficiently equipped to write the kind of defense of dialectical materialism which it deserves. Meanwhile, I repeat, I am ready to make a “bloc” with Burnham on the defense of the revolutionary program of the Fourth International, and to make it a hundred times over. Wherein does what you call my “bloc with Burnham in the sphere of philosophy” differ from Lenin’s bloc with Bogdanov? Why was the latter principled and ours unprincipled? I should be very much interested to know the answer to this question. How is it possible, some comrades ask, for Burnham, whose views on philosophy are not Marxian, to come to political conclusions which are Marxian? It would be quite sufficient to answer: It is possible, as may be demonstrated by facts. Burnham’s position on the dialectics of nature, for example, did not prevent him from arriving at the political conclusions embodied in the program of the Fourth International, any more than the complete ignorance of dialectics on the part of some comrades prevents them from arriving at the same political conclusions. Does this mean that the materialistic dialectic, the dialectical method, “are not important” ? It means nothing of the kind. It does mean, however, that there is a contradiction, an inconsistency, in Burnham’s position. This has not prevented the party as a whole from collaborating with Burnham on innumerable political questions, from presenting him as an authorized party spokesman, from appointing him an editor of its theoretical journal. By the same token, it does not and will not prevent me from collaborating with him on all those political questions wherein we agree. The connection between a philosophical and a programmatic position, a philosophical and a political position, holds only “in the last analysis.” The connection is not always direct and immediate. Political positions are not directly deduced from philosophical positions by means of concrete and scientific analysis. Lenin could speak of “our comrades in politics and opponents in philosophy” without revealing an inconsistency anywhere except in the comrades referred to. Both Engels and Lenin, furthermore, pointed out that the modern scientist, for all his “opposition” to dialectical materialism, is compelled to one degree or another to employ the dialectical-materialist method in his concrete scientific work. The materialist theory of knowledge, Lenin wrote, is one “which natural science instinctively holds.” That is often true of the science of politics, too; and I have observed it more than once not only in the case of Comrade Burnham but of others as well. These are, briefly, some of the reasons why I must reject not only your argument about the “unprincipled bloc” in philosophy, but also your reference to the Burnham-Shachtman article as a justification for characterizing our group as a petty-bourgeois tendency. As for the Cannon faction and the question of dialectical materialism, the less said on the subject the better for the faction. Following your article, its spokesmen may try their utmost to parade as the intransigent champions of Marxian philosophy, but the indifference to theoretical questions – to say nothing of philosophical questions – and even the contempt toward such questions which most of its representative leaders have fostered, is too notorious in the ranks of the party to require elaboration here. Who are the “eclectics who express the idea that the class character of the Soviet state ‘does not matter’”? Who has said it? written it? and when and where? I know of no such comrade and no such document. What then is our position? Simply this: It is impossible to deduce directly our policy towards a specific war from an abstract characterization of the class character of the state involved in the war, more particularly, from the property forms prevailing in that state. Our policy must flow from a concrete examination of the character of the war in relation to the interests of the international socialist revolution. Our fundamental position on this question has already been stated in the document on the Russian question presented by the Minority of the Political Committee. Let me elaborate some aspects of it here so that we may see how the different viewpoints are manifested in theory and in practice. What is the position of the Cannon group, boiled down to its essentials? The nationalized property determines the class character of the Soviet Union as a workers’ state. The Stalinist regime is based upon the forms of property created by the October Revolution, which are progressive and must be defended from imperialist attack. Consequently, in a war between the Soviet Union and a capitalist state, we are for the unconditional defense of the Soviet Union, for the victory of the Red Army and therefore for material and military support of the Red Army. You add, Comrade Trotsky, that war is not “an independent super-social substance”! and its character is determined by the character of the ruling class, “that is, by the same social factor that also determines the character of the state” – the property forms, in this case, the nationalized property. In spite of my recently acquired bad philosophical reputation, I cannot accept the clear implication of this position because I do not consider it a dialectical view of the problem. That is, it is based upon abstractions and not upon material realities considered in their dialectical inter-relationships. According to this standpoint, private property is the social factor that determines the character of the capitalist state, the same factor also determining the character of the capitalist ruling class, which in turn determines the character of the wars carried on by it. And what holds true of the capitalist state, holds true, with the necessary changes, of the workers’ state. In the first place, to speak of “capitalist state” and of “workers’ state” is to speak in terms of abstractions which do not, by themselves, answer the question of the character of a given war. The Germany of 1870 was not a feudal but a capitalist state, in which private property relations were predominant; this capitalist state conducted an historically progressive war (even under Bismarck and Wilhelm I) against Bonapartist France, its oppressor. The Germany of 1914,also a capitalist state in which private property relations were predominant, conducted a reactionary (imperialist) war against France. The same social class, based on the same property relations, was in power in the two countries both in 1870 and in 1914. If these factors alone, considered abstractly, determined the character of the war, it would be impossible for us to distinguish the progressive from the reactionary war. The Italy of 1859 conducted a war against Austria and the Italy of 1915 conducted a war against Austria. The first war of these two wars has always been characterized as progressive by the Marxists; the second, as reactionary. What determined the characters of these wars? In the case of both countries, in both epochs, the ruling class was the same and was based on the same property relations. The difference between the two epochs (and the two wars) lay in this: the young bourgeoisie was progressive because it fought for the establishment of national boundaries, for the establishment of the great national states of Europe, against feudal decay, particularism and atomization. The establishment of the great national (capitalist) states was progressive in its time not only because it broke down the feudal barriers to the development of the productive forces, but because it created the most favorable arena for the final struggle of an independent proletariat against the last exploiting class. With the development of imperialist decay of capitalism, the same social order with the same ruling class is capable of fighting only reactionary wars. Where it was once permissible for the Italian proletariat to support even King Victor-Emmanuel of the House of Savoy and the Italian bourgeoisie in their war for the national state (for freedom from Austrian oppression), it, became impermissible for the proletariat to support the House of Savoy and the Italian bourgeoisie in their war “for the national state” against Austria in 1914. Moreover, it is impermissible for the proletariat to support the Italian ruling class today even in a war against a feudal state – Ethiopia. If we go by abstractions alone, we cannot explain why the war of a capitalist state like Italy against a feudal (semi-feudal) monarchy like Austria was progressive in 1859 and a war of a capitalist state like Italy against a feudal monarchy like Spain was reactionary in 1935. The ultra-leftists, you will remember, also proceeded from such abstract deductions – “capitalist state – capitalist war” – in the case of the Spanish civil war, and therefore denied the admissibility of defending the Loyalist forces against the Fascist forces. Engels wrote the above with reference to a capitalist state. It applies with a hundred-fold multiplied force to the Soviet Union, where the political superstructure (the Stalinist state apparatus) has acquired a degree and type of independence from its social basis without parallel, at least in modern times. Now, what importance have these quotations from Lenin and Engels in our present dispute? The Cannonites deduce their policy in the following simple, undialectical way: The economy is progressive, consequently the wars fought against capitalist states by the Stalinist regime, which bases itself on this economy, are also progressive. The quotation from your article, cited above, to the effect that the character of the war is determined by the character of the economy, follows the same line of thought. This reply is obviously based on fact. I do not for a moment intend to create a different impression. All I contend, in this connection, is that this all-important contradiction is not consistently considered and applied in the case of the wars conducted by the Stalinist regime. Just as it was possible 20 years ago to speak of the term “workers’ state” as an abstraction, so it is possible today to speak of the term “degenerated workers’ state” as an abstraction. Just as it was once necessary, in connection with the trade union problem, to speak concretely of what kind of workers’ state exists in the Soviet Union, so it is necessary to establish, in connection with the present war, the degree of the degeneration of the Soviet state. The dialectical method of treating such questions makes this mandatory upon us. And the degree of the degeneration of the regime cannot be established by abstract reference to the existence of nationalized property, but only by observing the realities of living events. It is necessary to emphasize that there is a tremendous difference between the (relative) independence of the political regime in any given capitalist state and in the present Soviet state. Be it the democratic United States, constitutional-monarchical England, republican France or Fascist Germany, the political regime in each instance is the one best suited to preserve private property; in any case, that is its essential role. Even in Fascist Germany, where the bourgeoisie has been politically expropriated, we have said that the fascist regime is the only one under which capitalist private property can be preserved. In the Soviet Union, on the contrary, our program and theses point out that the political regime (the Stalinist bureaucracy) does not preserve but constantly undermines the social-economic basis of the Russian Revolution. It is not only, as Engels puts it, “endowed with its own movement,” and that to an exceptionally high degree, but this movement conflicts violently with “the movement of production as a whole.” Put in more plainly political terms, the interests of the bureaucracy conflict with the interests of maintaining nationalized economy as the basis for the transition to socialism – the nationalized economy which is all we can defend in the Soviet Union. Now, it is not the nationalized economy that goes to war; it is not the economy that decides when the war should be declared or started, or against whom it should be directed, or how it should be conducted. Nor does the working class make these decisions – either directly or indirectly – for it is gagged and fettered and straitjacketed. The decisions and direction of the war are entirely in the hands of the bureaucracy, which “is endowed with its own movement,” that is, with its own social, economic and political interests, which are reactionary through and through. Here we need not confine ourselves to theoretical speculation and argument. The invasion of Poland, the conquest of the three other Baltic states, the invasion of Finland – these make up in fact the reactionary war of the Stalinist bureaucracy. They are reactionary from a number of standpoints. They are reactionary because they drive the proletariat and peasantry into the arms of imperialist patriotism, that is, they do not accentuate the class struggle but facilitate the submission of the proletariat to its class enemy. They are reactionary because they are not conducted for the defense of the Soviet Union (i.e., the preservation of nationalized property from imperialist conquest and colonization), but are conducted in agreement with Hitlerite imperialism. They are reactionary because they are not conducted for the defense of the Soviet Union, but are conducted for the greater glory, prestige, power, and revenue of the counter-revolutionary bureaucracy. They are reactionary because they are not defensive wars (I speak not in the military-technical or diplomatic sense, but in the historical-political sense), but wars of annexation – wars of what we call Stalinist-imperialism. We advocated and urged support of a war to defend the Soviet Union from imperialist attack. In that case, we did not insist upon democratic formalities or even democratic realities as a condition for our defense. We said – the Minority continues to say it – that if the imperialists assail the Soviet Union with the aim of crushing the last conquest of the October Revolution and reducing Russia to a bunch of colonies, we will support the Soviet Union unconditionally. That would be a progressive war, even under Stalin’s command and despite Stalin’s command. We would fight for a democratic All-Soviet Congress to take over the helm, but we would not demand it as a preliminary condition for our support. We did not advocate the invasion of Poland or the Baltic countries or Finland. We did not consider such actions necessary for the defense of the Soviet Union, conceived in a revolutionary-internationalist sense. On the contrary, we condemned the invasions; you even called the invasion of Poland “criminal and shameful.” To this day, I do not understand by what right of formal or dialectical logic we should, in the light of this, call upon the workers to give material and military support to the invasion, which has as its clear-cut objective that very annexation which we condemn and oppose. The Fourth International is now fettered by a dogmatic interpretation of the formula “Unconditional defense of the Soviet Union” – which means in practise (see the resolutions of the Cannon group! see our party press!) that our policies are determined for us by the reactionary interests (and the secret treaties, no doubt!) of the Stalinist bureaucracy. When i decides to launch a war, we say, in effect: We do not agree with the timing of the war, with the aims it pursues; but now that Stalin has launched it, we must give it unconditional support, material and military aid. You will say that this is a distortion of the views of the Fourth International? Let us see. I pass over my “horrible deformation” and my “representation of our own past in a false light,” for I am conscious of no such crime. I have never said that our position was unconditional or any other kind of support of Stalin’s international policy, and I must therefore set down this charge too as gratuitous and polemical. Let me accept, then, your characterization of our traditional position. We have never defended, not even conditionally, Stalin’s international policy; we give no unconditional support to the Kremlin’s diplomatic and military activities. Our policy is not determined by the Kremlin’s deeds and crimes. Good! We have never supported the Kremlin’s international policy, I repeat with you. Concretely, for example, we did not support the Kremlin’s policy toward bourgeois Finland (or Poland, etc.). But what is war? War is the continuation of politics by other means. Then why should we support the war which is the continuation of the international policy which we did not and do not support? The Fourth International also told the Russian proletariat not to support the Kremlin’s foreign policy. Then why should we now tell the Soviet workers to support a war which is the continuation of that policy? According to the resolution on Finland of the Cannon faction (which you support), the Fourth International tells the Russian workers not only to be Soviet patriots in general, but to give material and military support to Stalin’s army in Stalin’s war (what attitude the Finnish proletariat should take toward the Red Army – our fearless “unconditional defensists” do not indicate by a single syllable). On what conceivable basis can we advocate such a policy to the Russian working class? How can we defend it before the American working class, or even its vanguard elements? Perhaps the Red Army should be supported on the grounds that in Poland, for example, “the new authorities invited the population to expropriate the landowners and capitalists,” as you put it in your new article. I have heard the Cannon group spokesmen, following your line, argue that this demonstrates the essentially progressive character of Stalin’s war and that it is a significant reflection of the fundamental fact that the Kremlin is based upon state property, which determines the character of its wars. This argument, in my opinion, is wrong on two counts. In so far as it is calculated to prove that the wars of the bureaucracy are automatically determined by the existence of state property in the Soviet Union, the calculation runs directly counter to our previous political analysis, yours in particular, and to the recently established facts. “Hitler defends the bourgeois forms of property. Stalin adapts the interests of the bureaucracy to the proletarian forms of property. The same Stalin in Spain, i.e., on the soil of a bourgeois regime, executes the function of Hitler (in their political methods they generally differ little from one another). The juxtaposition of the different social roles of the one and the same Stalin in the USSR and in Spain equally well demonstrate that the bureaucracy is not an independent class but the tool of classes ...” ([Not a Workers’ and Not a Bourgeois State?,] Internal Bulletin, Dec. 1937, p.5). In other words, there is no automatism of state property in the Soviet Union that forces the Kremlin bureaucracy to establish or even seek to establish similar property forms outside the Soviet Union. Quite the contrary, outside the Soviet Union, it follows in most cases the policy of preserving capitalist private property and massacring those who seek to abolish it (Spain!). The Kuusinen program, I repeat, proposes only such a “control” over the banks and industries of Finland. Would you consider this “new chapter in the Soviet regime” a basis for revising our slogan of unconditional defense? You find our resolution on Finland ridiculous because it says that in applying the strategy of revolutionary defeatism on both sides, “the Fourth International will, of course, take into account concrete circumstances – the military situation, the moods of the masses and also the differing economic relations in Finland and Russia.” Your comment is: “Definitely, nothing of this is comprehensible.” Let me try to make it somewhat more comprehensible and less ridiculous. In any country, whether we are defeatists or defensists, the application in the concrete of our strategical perspectives or slogans must take many things into consideration. For example, even under Kerensky, Lenin stood for the slogan of “transforming the imperialist war into a civil war.” At one time, in the middle of 1917, he proposed the withdrawal of the slogan in that form. Why? Because of the military situation in the country and because of the moods of the masses. Moreover, taking into account precisely these moods – the fact that the masses were tired of the war and of fighting “in general” – the Bolsheviks concretized their perspective of civil war in the slogan of “peace.” Again, taking into account the “military situation” during the Kornilov attack, the Bolsheviks again adapted their “civil war” perspective to the concrete situation. The sentence in our resolution which you ridicule so much was included mainly for the purpose of guarding against the vulgar misinterpretation of our position to mean that from now on, day in and day out, all we propose to do in Finland and in the Soviet Union is to repeat the phrase “revolutionary defeatism.” As for taking into account the “differing economic relations” – this really speaks for itself. In Russia we tell the workers that they must establish their control over already nationalized property. In Finland we tell the workers that they must first nationalize property after seizing power. When I write a resolution not about war but about the world socialist revolution, I shall take care, there too, to point out that in China and in the United States the Fourth International must take into account the differing economic relations, even though it is for the proletarian-socialist revolution in both lands. By the same token I will agitate for a political revolution throughout the Soviet Union, but in the Ukraine I will take into account the differing national element and there I will advocate, particularly, separation from the Kremlin. The whole point seems to me to be quite self-evident. I cannot leave unmentioned your references to the “revolutionary” role of Stalinism in its recent invasions. Here again, I find myself compelled to disagree with you. The bureaucratic bourgeois revolution – that I know of. I know of Napoleon’s “revolution from above” in Poland over a hundred years ago. I know of Alexander’s emancipation of the serfs “from above” – out of fear of peasant uprisings. I know of Bismarck’s “revolution from above.” I know that Hitler and Mussolini play with the idea of an Arab “national revolution” in Palestine out of purely imperialist and military reasons – directed against their rival, England. But the bureaucratic proletarian revolution – that I do not know of and I do not believe in it. I do not believe that it took place in Poland even for a day – or that it is taking place or is about to take place in Finland. If Stalin “established” state property in the conquered territory in Poland, it was not at all because, as you imply elsewhere, he was “compelled” to do so on account of the irresistible force of state property in the Soviet Union. Stalin was perfectly willing to “share the power” with the Polish bourgeoisie, as he is doing it with the bourgeoisie of Lithuania, Latvia and Estonia, and on this basis: I will preserve intact your private property and you will turn over to me your political power, which I will assure with my army. This is what the Kremlin proposed during the negotiations with Anglo-French imperialism. The Polish bourgeoisie and landlords refused this “generous” offer for a division of power. The three Baltic countries had the offer imposed upon them by force. When the regime of the Polish Colonels collapsed under the blows of the German army, the bourgeoisie fled in every direction. In the Polish Ukraine and White Russia, where class exploitation was intensified by national oppression (the bourgeoisie of those territories was predominantly Polish), the peasants began to take over the land themselves, to drive off the landlords who were already half-in-flight. Even the garbled and censored reports of those days permit us to see that the workers were beginning to act similarly. In Vilna, a spontaneously formed “Soviet” was reported. The Red Army, entering Poland, encountered no resistance from the Polish bourgeoisie and its Army because there wasn’t any to speak of. The Red Army came in as a counter-revolutionary force. Far from “giving an impulse to the socialist revolution,” it strangled it (the Vilna “Soviet” was of course violently suppressed). Just what has since then been “nationalized,” how it has been “nationalized” – I do not know and no one has yet been able to say exactly. In any case, I repeat with you that the nationalization, real or alleged, cannot be the decisive criterion for us. The Stalinist bureaucracy is capable only of strangling revolutions, not making them or giving an impulsion to them. To prove the contrary, some evidence must be produced, and I find none in your article. True, not by so much as a word. Why? Because the first anyone has heard in our party – anyone! – of the expropriation of the large landowners and the introduction of workers’ control in Finland by the Red Army, is in your article. Where is this taking place? On what reports do you base yourself? There is no trace of workers’ control in the Soviet Union today; there is even less than that in Finland. That at least so far as my knowledge goes, and on this point I have questioned unavailingly many Cannonites. Where is this “tremendous impulse to the class struggle” in Finland – and “in its sharpest form,” to boot? We base our policy on “abstractions.” Let us grant that. On what do you base your statement about the tremendous impulse to the class struggle? No one – no one, I repeat – in our party has seen the slightest sign of it as yet. Perhaps you have seen credible reports about it; in which case such important news should appear in our press. Where is the civil war in Finland which is “evidently already beginning”? Unless you refer to the government of the idiotic scoundrel Kuusinen, we have not yet seen the first traces of that civil war – regardless of how much we should like to see it, no matter how anxious we are to develop a policy that will promote it, no matter how firmly we count upon its eventual materialization. Do you deduce this “civil war” from an abstract and false theoretical estimation of the role of the Kremlin bureaucracy, or is there some objective evidence that this “ ‘concrete’ process is taking place in Finland”? Where is the “social revolutionary movement in Finland” that the Kremlin is “forced to provoke” ? Is it perhaps the program of the Kuusinen “Democratic People’s” government that is provoking it? That program is, formally, the program of a bourgeois “democracy.” Since the beginning of the war, one of the reasons why we condemned the Finnish invasion as reactionary was precisely the fact that by it Stalin was driving the Finnish workers and peasants into a bourgeois-patriotic frenzy, into the arms of the Mannerheims, into the “sacred union” and “national unity.” What evidence is there that this has changed? We repeat: we know of none, not a scintilla! It is possible and even likely that, as the Finnish bourgeois regime begins to crumble, the workers and peasants will separate from it and take the first steps on the road to independent class action. But there is every reason to believe that they will not take the road to the Stalinist camp, that they will not, as Cannon tells the Russian workers to do, give “material and military support” to the annexationist invaders. If they did, their tragedy would be no less than that which they are suffering today as the pawns of bourgeois-patriotism. You speak of the Stalinists representing “the policy of exterminating finance-capital.” I find it difficult to believe that you mean this literally. No, the role the Stalinists have played, above all outside the borders of the Soviet Union, has been that of conservative prop of the rule of finance-capital. The Kremlin agency of finance-capital has not become overnight the latter’s exterminator. It does not play a revolutionary role – any more than the Chinese national bourgeoisie played a revolutionary role, any more than Gutchkov played a revolutionary role in March, 1917 in Russia; the role of the Stalinist bureaucracy is counter-revolutionary. Would I tell the Finnish workers to accept arms and ammunition from Stalin? Would I tell the Hindu workers and peasants to accept arms and ammunition from Hitler? That is how you pose the question. My answer is: Of course I would! I would take arms for the revolution from Hitler, or Mussolini, or Stalin, or Daladier, or from a Caucasian mountain bandit! If I get them free of charge, so much the better. But it would not follow for me that just because I welcome arms smuggled in to me in Palestine by Hitler, that I would welcome Hitler if he sent his army to Palestine, or that I would urge anybody to give that army “material and military support.” The “character” of Hitler’s intervention in Palestine would have changed. By the same token, when Stalin is conducting a reactionary, annexationist war in Finland, I would readily accept arms from him if I were a revolutionist in Finland (although, in that case, nine chances out of ten I would receive his “armed aid” in the form of a bullet in the heart or a bayonet in the throat); and under certain conditions, given a favorable relationship of forces between his army and the Finnish revolutionary movement, I would even seek a practical military working agreement with him; but it does not follow from this that I call upon anyone now to give him “material and military support” in his reactionary war. I repeat, I do not believe in the bureaucratic proletarian (socialist) revolution. I do not mean by this merely that I “have no faith” in it – no one in our movement has. I mean that I do not consider it possible. I reject the concept not out of “sentimental” reasons or a Tolstoyan “faith in the people” but because I believe it to be scientifically correct to repeat with Marx that the emancipation of the working class is the task of the working class itself. The bourgeois revolution, for a series of historical and social reasons, could be made and was made by other classes and social strata; the bourgeoisie could be liberated from feudal rule and establish its social dictatorship under the aegis of other social groups. But the proletarian revolution cannot be made by others than the proletariat acting as a mass; therein, among other things, it is distinguished from all preceding revolutions. No one else can free it – not even for a day. You support the Cannon faction as the proletarian, Marxist group; you condemn the Minority as the petty-bourgeois group, and propose that it be disposed of accordingly. Reading your arguments, I involuntarily ask myself: How can the theoretical, political and practical leader of the struggle against the “troika” in Russia and then against Stalinism, come to such conclusions? Comrade Trotsky, I have always been as close a student of the history of the revolutionary movement as possible. I have never considered such a study to be a substitute for active participation in the making of revolutionary history, but rather as a guide for such participation. My interest in this history is not so much for its own sake, but above all in order to learn how to avoid mistakes of the past and to emulate that which was worthy. In my own way, I have tried to keep unforgotten and to live up to the best traditions of a hundred years of revolutionary Marxism. So little do I ignore the traditions of our movement that I am sometimes perhaps rightly accused of “archivistic” extremes. In extenuation for this sin I have always pleaded the need of keeping alive in this generation of revolutionists – my generation – the best traditions of the past generations, to establish the idea and spirit of revolutionary continuity. If my comrades sometimes jokingly chide me for my predilection for “precedents” – they have some reason for it. In good and tested precedents, I often seek and find a “short-cut” in revolutionary politics. A “short-cut” in this sense, that I do not believe every single problem must be approached from the very beginning, as something brand new, as something which past experience of the movement cannot guide us in solving. If, therefore, I refer in this section of my letter to experiences of the past, you will understand that it is not done in a brittle polemical sense, but rather in the sense of helping myself and the movement find the right road with the help of illumination from that past. Burnham says it is not a workers’ state; Abern says it is; Shachtman represents, as Hansen  so tellingly puts it, the Doubtist faction. Their bloc on the question of “defense” and on the “organizational” question is therefore unprincipled, and typically petty-bourgeois. Let us grant for the moment that the “bloc” is as described. How many times have you been attacked by the Stalinists on the same grounds? You made a bloc with the Zinovievist (Leningrad) Opposition in 1926. The Platform of the Opposition Bloc “evaded” the fundamental question of the theory of the permanent revolution. Why? The Stalinists insisted that the basic principled differences between Leninism (their “Leninism”!) and “Trotskyism” (revolutionary Marxism) revolved around the theory of the permanent revolution. The Zinovievists, who agreed basically with the Stalinist conception of the theory, agreed with you (that is, the Moscow, 1923, Opposition) to say that the theory was not at issue, and this was written into the documents of the Bloc. Was it unprincipled? I do not think so. The Bloc was united on the main political tasks before the Soviet Union and the International. You made a bloc – rather, you were in one faction – with Radek, who characterized the famous Canton bourgeois government as a “peasants’ and workers’ government.” The Zinovievists were for the “democratic dictatorship of the proletariat and peasantry” in China; you were for the proletarian revolution supported by the peasantry. The United Opposition, by the way, adopted the essential Zinovievist formula. The Stalinists sought to exploit these differences to the full. Yet the Bloc there too, except for mistakes that cannot be characterized as fundamental in my opinion, was principled; all its members agreed (more or less) on the basic and immediate political tasks in China. Suppose one were to say: on the fundamental principled question of the class nature of the Chinese revolution, Zinoviev had the Stalinist (i.e., petty-bourgeois) position (democratic dictatorship), while Trotsky said “it does not matter.” Wherein would such a reproach differ from the one you direct at us today? We say in our resolution that we, the Minority, are united on the basic and immediate tasks of the Fourth International hi the Soviet Union and the other belligerents. To the extent that we differ among ourselves on the “terminological” or “sociological” question – the class nature of the Soviet state – each comrade will vote on this question, if it is put, as he has voted in the past, according to conviction. Do you find that unprincipled? You wrote me on December 10, 1930 (the letter is to be found in my introduction to your book, Problems of the Chinese Revolution) that though Radek was always with Zinoviev on the question of the Chinese Communist Party withdrawing from the Kuomintang, “up to 1926, I always voted independently in the Political Bureau on this question, against all the others.” When the Bloc was formed, the majority was against you on this point. “But since it was a question of splitting with the Zinovievists, it was the general decision that I must submit publicly in this question and acquaint the Opposition in writing with my standpoint ... Now I can say with certainty that I made a mistake by submitting formally in this question.” Let me then ask if that made the Opposition Bloc unprincipled or that an error was merely made. You make a number of additional and minor points against us which are hardly meritorious. You say our resolution “could be signed, perhaps with slight changes, by the Bordigists, Vereecken, Sneevliet, Fenner Brockway, Marceau Pivert and the like ...” I assure you that also “perhaps with slight changes,” Cannon’s resolution would be signed by Oehler, Stamm, Marlen, and to the best of my knowledge, Molinier. You say that our criticisms, our “terminology” in particular, is copied from the bourgeois press. With as much reason, I could reply, that such terms as “Thermidor,” “Bonapartism” and “totalitarian” – applied by us to the Stalinist regime, were used much earlier by the bourgeois and Menshevik press. With different connotations? Different aims? Yes, but that is true in both cases. You raise the question of Comrade Abern. It would have been preferable if that were dealt with by Cannon. You write: “Abern, and only he, has his own traditional group which grew out of the old Communist Party and became bound together during the first period of the independent existence of the Left Opposition.” On what do you base this – permit me to say it – fantastic charge? Of the comrades in our party today who “grew out of the old Communist Party” and who have been associated more or less consistently on the same side as Comrade Abern, and are with the Minority today, I can think of only one name. I would be interested in hearing at least a couple of more names! What is the basis of your information, Comrade Trotsky? I have no intention of evading the famous “Abern question.” I have had in the past many sharp disputes with the old Weber-Abern group in general, and with Comrade Abern in particular. Indeed, I once wrote a very harsh and bitter polemical document against that group which Cannon flatteringly calls a “Marxist classic.” If a historical study-circle were to be formed tomorrow to consider that period hi our party history, there is much in that document I would repeat, much I would moderate, much I would discard. Abern, I suppose, would act in kind. But we are not discussing that period, and I find it impossible to shape my politics on the basis of outlived disputes. You know that before the fight against the Weber-Abern faction, there had been a sharp dispute between Cannon’s faction and one led by me, a dispute lasting several years. One of the reasons I broke with many of the members of my then faction was because I insisted against them that the issues in the fight against Cannon had either lost their urgency or had the possibility of becoming moderated. Consequently, it was necessary to collaborate fraternally with the Cannon group on a new basis, and not continue a die-hard struggle on outlived or vague issues, or reminiscences. I am against political feuds which go on endlessly like Kentucky feuds. I was against them when directed at Cannon. I am against them when directed at Abern. Cannon knows how spurious it is to inject into the present dispute the “Abern question.” He knows what every informed party leader, and many members, know, namely, that for the past several years at least there has been no such thing as an “Abern group.” So true is this that at the Chicago convention of the party, two years ago, the slate for the Political Committee presented by Cannon and me had on it four ex-”Abernites” out of a total of seven members, i.e., a majority! So true is this that since that time Comrade Abern has been entrusted with some of the most responsible and even confidential tasks that the Political Committee could assign to him (a party-public document prevents me from going into detail on this point). At the last convention, in July, 1939, when the dispute arose over the “organization document” and later over the composition of the National Committee, Comrade Abern was in neither of the two contending groups, for which Cannon, hi the debate, went out of his way to praise the “objectivity” and “organizational intelligence” of Abern! I know what the Cannonites mean with their campaign against Abern. Abern is all right so long as he “comes along.” However, the minute Abern expresses a different view from the Cannon leadership on an important question, then the campaign is launched against him not on the basis of any views he now defends but on the basis of a fight which is I-don’t-know-how-many years old. Here, too, I must remind you that you too joined with groups or “remnants” of groups against which you had fought vigorously in earlier years, which you and Lenin had even severely condemned – Workers Oppositionists, Democratic Centralists, to say nothing of the Zinovievists. You will surely recall how the bureaucracy sought to concentrate the discussion not on the platform of the Opposition Bloc, but on what Zinoviev had written about Trotsky at one time, and vice versa, and about the “unprincipled mutual amnesty” they had extended each other. You say that you and the Cannon group give a class characterization of the Minority, whereas “the opposition, on the contrary, precisely because of its petty-bourgeois character does not even attempt to look for the social roots of the hostile camp.” I could answer this, in the first place, by emphasizing part of the preceding sentence: “Any serious factional fight in a party is always in the final analysis a reflection of the class struggle.” Yes, generally and in the final analysis, but not at every given moment or with every factional grouping. I have no doubt of my ability to give many examples from the history of the Russian party after the revolution in which sharp factional fights took place; I think that it is doubtful if a clear class characterization could be given of all the factions involved. I could say, in the second and more important place, it is first necessary to prove (a) that the Minority represents a deviation from the proletarian Marxian line, (b) that this deviation is typically petty-bourgeois, and (c) that it is more than an isolated deviation – it is a tendency. That is precisely what has not been proved. But is it true that the Minority gives no political characterization of the Cannon faction? It is somewhat surprising to read your article, to see in it reference to the allegedly long-lived Abern group, and to see not a single word about the only permanent faction in the party – the Cannon clique, the group of comrades you refer to euphemistically as “Cannon and his collaborators.” When we speak of it as a permanent faction we do not confine ourselves to mere assertion. We are able to prove it from the records of the party, and we do prove it in our document on The War and Bureaucratic Conservatism. How do you explain the existence of this faction-in-permanence, in season and out, during political disputes and during peace-times in the party? Was that characterization of the then leadership of the party “psychological,” “technical,” “intellectual” and devoid of political or class significance? No more so than our present characterization of the Cannon faction! You ask us to support this faction, or at least to subordinate ourselves to it. You declare that this is necessary because we are the petty-bourgeois revisionist tendency – Cannon the proletarian Marxist tendency. If your class characterizations of the two groups were correct, your proposed solution of the party crisis might have validity. In that case, and in accordance with our class doctrine, the petty-bourgeoisie must follow the proletariat, and not lead it or even be joint leader of the party with it. The petty-bourgeoisie, if it is admitted into the party as an organized group, should properly be given a “second-class” status. If it threatens to take over the leadership of the party, the proletarian wing has no other choice before it save to declare its organizational independence immediately, or in any case to have a split perspective precisely hi view of the war situation. That is the political meaning I get from the concluding paragraphs of your article. This solution we cannot and will not accept, Comrade Trotsky. We do not believe Cannon represents the proletarian, Marxist tendency – he represents the tendency of bureaucratic conservatism. And against this tendency, and particularly against its position on the Russian question (which represents an increasingly clear political capitulation to Stalinism), we must continue our struggle until our views triumph. Your support of the Cannon faction is very firm, Comrade Trotsky; but it is very wrong. This time, I am unable to support your standpoint, a fact I establish with regret and even reluctance. I can only hope that the divergences narrow down in the period to come. But to expect me or my associates to support the Cannon faction and its position, is to expect what we cannot and will not give. Several years ago, you stood insistently, even against widespread opposition, in support of the Molinier group in France. It, too, you represented as the revolutionary proletarian Marxist tendency. I do not hold that the opponents of Molinier represented – all of them, or on all questions – the best elements in the French or European movement. But in the end you declared openly that Molinier had nothing in common with the Fourth International or with the working class movement. It goes without saying that Cannon is not Molinier, and it would be useless to try to make me appear to say so. But I believe that just as you were mistaken in your judgment of Molinier. so you are mistaken in our present dispute in your judgment of Cannon and his clique. Just as you later acknowledged your wrong estimate of Molinier, I am firmly convinced that you will be obliged to make a similar acknowledgement about the Cannon faction hi time to come. Some six years ago, if my memory serves me rightly, you wrote a comment on the factional fight in the American section between the Cannon and Shachtman groups. In it you said that the party leadership (Cannon faction) represented a tendency toward Stalinist bureaucratism. You will be obliged, I am convinced, to reiterate that characterization in more elaborate, up-to-date form in the future. From all that I have said in this document you will understand why I find it impossible to accept your recommendation. For my part, I can only hope that your prognosis is wrong. In return, I can only say in a spirit which I believe you will understand to be animated by the objective interests of the cause and with a due sense of proportion: The support you are now giving to the Cannon faction leadership and its political position, you will have occasion in the not distant future to consider as one of the most serious mistakes in the history of the Bolshevik-Leninist movement. 1. Immediately upon reading the article. Comrade Dunne sent the authors an air-mailed letter declaring that he was proud to be a member of the party that had them in it. Neither he nor any other member of the present Majority faction noticed the unprincipled bloc in the sphere of philosophy at that time. In fact, it was generally understood that this long article was not just a literary exercise against intellectuals of no account, but, through them, an exposition and defense of the Bolshevik program on the main political questions of the day. 2. If Burnham will forgive me for the comparison, let me quote what Lenin wrote about priests in the party: “If a priest comes to cooperate with us in our work – if he consistently performs party work, and does not oppose the party program – we can accept him into the ranks of Social Democracy, for the contradictions between the spirit and principles of our program and the religious convictions of the priest could, in these circumstances, be regarded as a matter in which he contradicts himself, as one which concerns him alone. A political party cannot examine its members to see if there are any contradictions between their philosophy and the party program. Of course, such a case would be a rare exception even in Western Europe; it is hardly possible in Russia. But if, for example, a priest joined the Social Democratic Party and made it his chief and almost exclusive business to propagate religious views, then, of course, the party would have to expel him.” (May 26, 1909) Lenin would not write a joint article with a priest on religion; but he would not hesitate, I am sure, to write one with a priest-party member in defense of the party’s political position, explaining therein that he finds “the religious convictions of the priest ... a matter in which he contradicts himself.” With due respect for the difference in proportions, and in the person involved, the same applies in the case I am discussing. 3. The questions raised by Hansen’s article, and referred to by you, will be dealt with amply in another document.